Epic Fantasy combines with Young Adult romance in this stunning new adventure set in a richly developed medieval world. Second Stone and Broken Stone are now available!When Emariya Warren learns enemy forces have captured her father, she'll do anything to save him. Anything. 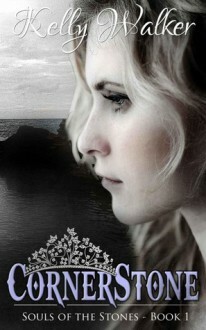 Even marry a mysterious prince she knows nothing about in order to rally the strength to arrange a rescue. During her journey to Torian's foreign castle, Emariya comes face to face with her mother's killers--and a deadly secret.Not only does Emariya possess a powerful but unexpected magical gift passed down through each of her families, the prince she's promised to marry possesses a third, and an ominous prophecy has warned the three gifts must never be combined.If she breaks her promise to marry Torian, she won't be able to save her father and if she keeps it, she may bring a curse upon everything she holds dear. Determining which choice is best won't be easy, but when she meets the gorgeous prince who may desire more than just her heart, she realizes she will have to fight just to have a choice at all.Her heart wants him desperately. Her head begs her to run. If she doesn't want to share her mother's fate, she'll have to find a way to untangle the truth from the lies in time to save herself.Discover the heartbreaking betrayals, fascinating magic and fated love of Cornerstone.LIKE TEEN / NA ROMANCE? CHECK OUT KELLY WALKER'S NEWEST RELEASE: No One's Angel -- On sale for just 0.99 for a limited time. Five stars of epic. I thought this book was amazing. A slow burn that was weeding into my brain but the second half of the book I was addicted. I can't wait to see what happens next. For my full review check out Parajunkee tomorrow.